For precision I'm excluding artificial meteoroids and satellite debris (which is discussed in another question) of all kinds. I'm also considering collisions large enough to produce a noticeable impact or scar (not truly microscopic dust that can only be detected from wear of the surfaces). Say something carrying at least 1J of kinetic energy. Hypervelocity impacts on the space shuttle Orbiters were analyzed over the years to determine their origin. After the post-flight inspection is completed, JSC personnel analyze samples extracted from the impact sites using a scanning electron microscope (SEM) equipped with energy dispersive X-ray spectrometers (EDXA). Such techniques allow engineers to determine whether the impactor was a naturally occurring meteoroid or man-made orbital debris. The paper ANALYSIS OF THE NASA SHUTTLE HYPERVELOCITY IMPACT DATABASE breaks down the source of the impacts for various regions of the Orbiter. The majority of the hits are from debris, but some are attributed to meteoroids. Here's an example, a chart showing the results from the Reinforced Carbon-Carbon areas of the Orbiters (mostly the wing leading edges and nosecap). 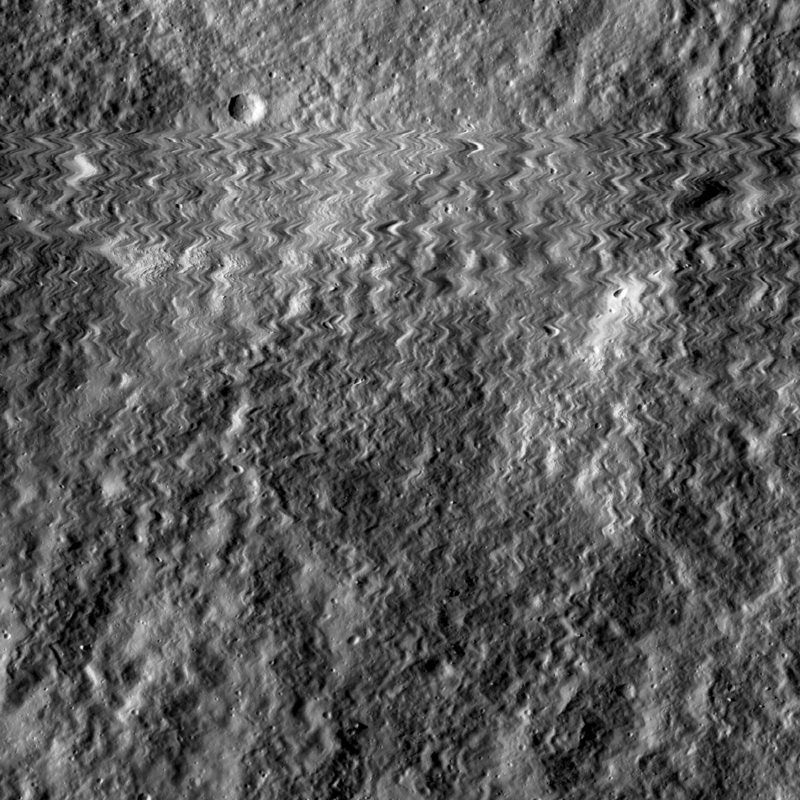 The above image is from one of the Narrow Angle Cameras on NASA’s Lunar Reconnaissance Orbiter. The very top of the image is clear. The rest shows jagged artifacts. Unlike the digital cameras one can buy in a store, the Narrow Angle Cameras are pushbroom sensors. The scan a line of pixels at a time instead of taking a 2D image. Because a scanned line is orthogonal to the satellite's motion, the next line will be over a slightly different spot, and so on, building an image over time. The oldest lines in the above image are at the top. The top portion of the image is clear -- but then something happened. Per NASA, that something was most likely a micrometeoroid, probably a 0.8 mm coarse grain of sand moving at 7 km/s relative to the spacecraft. If NASA is correct, that coarse grain of sand imparted about 18 joules of energy to the camera. A relative velocity of 7 km/s is not that high and a joule is not that much energy. In low Earth orbit, relative velocities between a spacecraft and a meteoroid can be ten times that 7 km/s. At that speed, even a very fine grain of sand would impart one joule of energy. In addition to the impact described above, NASA has brought several items that were in space back to Earth and looked at them for impacts. Two of the answers describe impacts with the Shuttle. In addition to the Shuttle, NASA has retrieved the Wide Field and Planetary Camera 2 and solar arrays from Hubble and the Long Duration Exposure Facility. All exhibited multiple impacts, some of which were from micrometeoroids, and some of those were large enough to have easily tipped the one joule threshold raised in the question. And that's just what is known. There are unknown unknowns as well; a number of satellites have prematurely gone permanently offline for no known reason. Some fraction of those were almost certainly due to micrometeoroid damage. A History of Micrometeoroid and Orbital Debris Impacts On The Space Shuttle lists the "top 20" strikes on space shuttle windows and radiators from 1992 to 2000; most of them are from debris but 4 appear to be from meteoroids. The biggest meteoroid hit appears to be a 5mm hole in a radiator from an 0.7mm meteoroid. Not the answer you're looking for? Browse other questions tagged meteoroid or ask your own question.